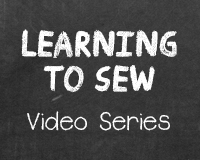 Teresa Carey: Sewing, Self-sufficiency and Icebergs | Do-It-Yourself Advice Blog. Teresa Carey is making quite a name for herself in the sailing world. She writes a sailing blog, made a documentary film about a sailing adventure, teaches on-board sail training, and speaks about sailing around the country (she even gave a TEDx talk). I recently had the pleasure of talking with her about her new film and the importance of self-reliance on a sailboat. Teresa started sailing when she was just eight-years-old, on her family’s Ranger23 on Lake Michigan. But before she even set out on the water, she was already enchanted with sailing from bedtime stories her dad would tell. “My dad would tuck us into bed and tell us stories of sailing or teach us a new term. So I had sailing adventures in my bed,” she reminisced. By the time she was 18, Teresa started sailing professionally, first as a camp counselor and later with Outward Bound and in the tourism industry. After sailing solo for a time and then in convoy with her now husband, Ben, Teresa was looking for a new adventure and new waters to sail. So the pair pulled out a map and took a look at what was north of the Eastern United States and decided on Newfoundland, Canada as their destination. They asked a friend if they could borrow his charts for their planning and among them, they found a photo of his boat with an iceberg, Teresa said. She and Ben wondered if they too would see icebergs on their journey. “Then it became a mission,” Teresa said. They decided to film their trip to see an iceberg as a series of short web videos, but when word of their plan got around, they soon received an offer to work on an even bigger project. A film producer out of Florida, Derek Rowe, had heard about Teresa and Ben’s project and called them to ask if they would be willing to make a feature length film with him. Ben and Teresa agreed, leading them to create their documentary, One Simple Question, which will premiere at the BLUE Ocean Film Fest this November in St. Petersberg, Florida. “In the end it was ten times more work than we expected and four times more money,” Teresa said. But all their hard work paid off and the film was named a finalist in the emerging filmmaker category and received honorable mention in another category. “It was an honor to even be selected for the festival, so then to be a finalist and even honorable mention is really quite an honor,” Teresa said. Teresa and Ben are also currently in talks with a public television station to create a TV edit of their film. 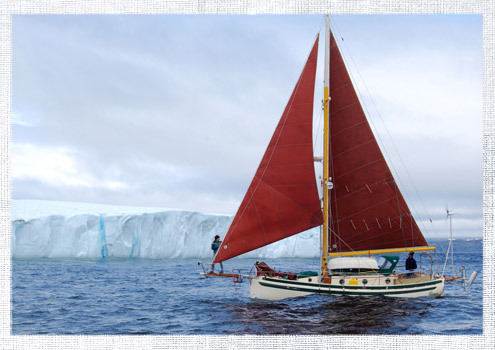 One Simple Question is not only about seeing an iceberg, but it also deals with the trials of living aboard a sailboat and the importance of self-reliance. In a scene discussing self-reliance you’ll even see the Ultrafeed Sewing Machine make a cameo appearance. The new dodger is actually a dodger that Teresa sewed herself for their Bristol Channel Cutter 28, Elizabeth. You might recognize it by the heart shaped windows that Teresa customized herself. Her photo of the project the grand prize in our photo contest this year. Elizabeth is Ben’s sailboat and knowing that Teresa already knew how to sew, he did a little bribing to get her to sew him a new dodger. She wanted to put her own stamp on the dodger kit, so she added the heart shaped windows by cutting out a cardboard heart and tracing it on to the glass. This was her first dodger project and Teresa said that the Sailrite videos helped her a lot in construction. Her next project is going to be another dodger for her new sailboat that she’s ready to start “just as soon as it’s too cold to sail anymore,” she said. “The great thing about sewing—like carpentry—is if you want to redecorate or you need something, you can make it. Any time I need something I can stitch it together,” Teresa said. She even sewed herself shelves once. Teresa does all her sewing on a Sailrite Ultrafeed LSZ-1 Sewing Machine, and she’s been impressed with how well it’s held up over time. Like Teresa, most sailors are DIYers and tackle projects on their own, she said. 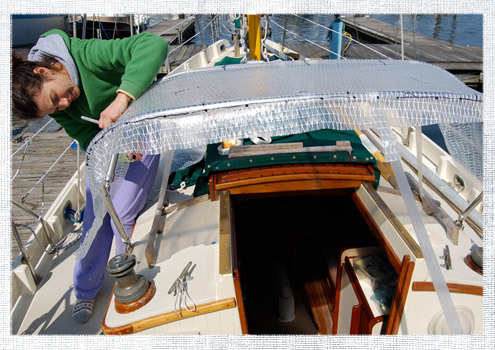 Her advice for DIY sailors is to make sure you find reliable advice for projects that you undertake so you keep everything up to safety standards on your boat. Teresa believes that self-reliance is key to all sailors. “I think self-reliance doesn’t mean having all the skills, it’s about having the resourcefulness and the tools to learn how to do it,” she said. In fact, her love of sailing is tied to the idea of self-reliance and pushing your own limits. 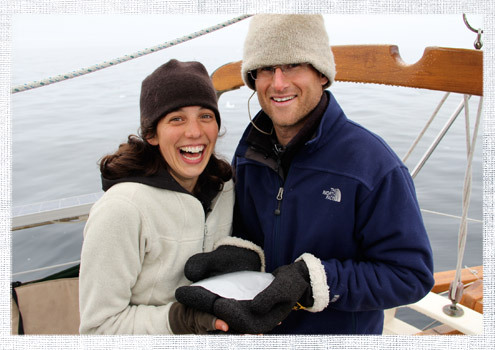 Teresa and Ben are wrapping up their season of on-board sail training in Maine and are planning to spend the winter on land working on their multimedia marketing business until the spring when they will head back to the water to deliver boats. To learn more about One Simple Question, and to watch the trailer visit simplequestionmovie.com. 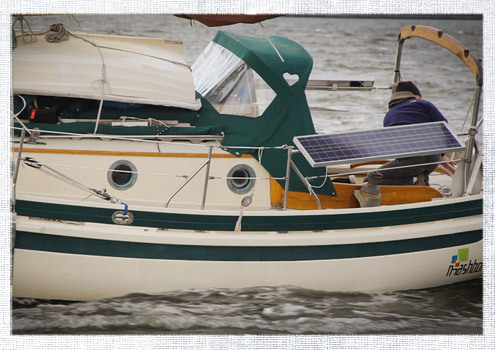 Follow Teresa at her blog: Sailing Simplicity & The Pursuit of Happiness. If you’re interested in sail training with Teresa and Ben, visit morsealpha.com.